Charming installation with a beautiful central courtyard. All rooms with private bathroom and real hot water 24 hours. Internet WiFi for free. At walk distance from Main Square and most attractions. Great place to rest after touring the city. Great value. A very quiet and peaceful hostel with lots of space. Main courtyard where you can connect your gadgets while resting and sun tanning. 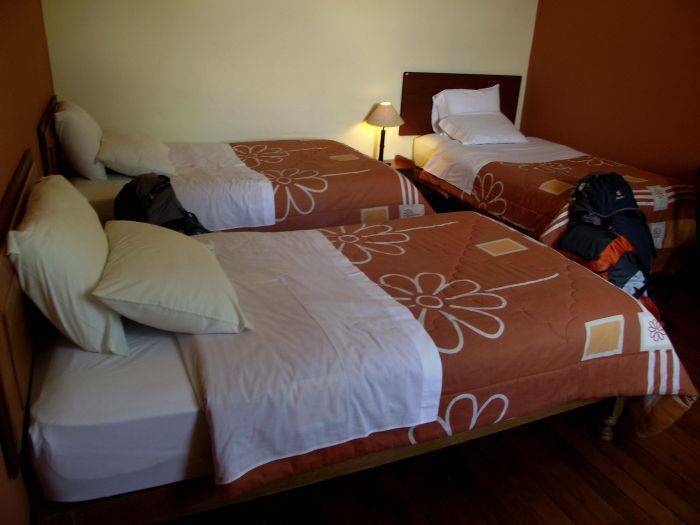 Rooms are comfortable and you can choose from Standard or Superior according to your budget. Ask for The Cooking Experience, and on hands cooking activity at the courtyard. Or learn how to prepare Pisco Sour. Paco our tortoise pet is always arround waiting to be fed. Just lay in the loungechairs, take a cold lemonade and enjoy the best Arequipa has for a visitor: its always sunny weather. Travel Desk with up to date information to help you book tours and tickets . Bus and plane connections. 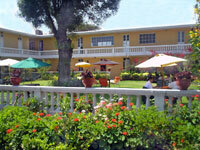 Our famous Spanish School and the Cooking Activity are always available. For your convinience we accept all Credit Cards, Pay Pal and on line payment systems. 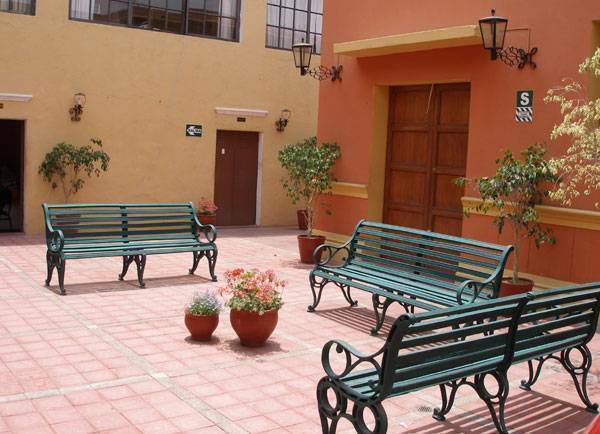 Mayor amenity is our central courtyard with umbrella tables and furniture to rest and enjoy sun. Spanish Classes and Cooking Activity on your request. Tourist information and discounts in most popular local tours. Basic Rooms. 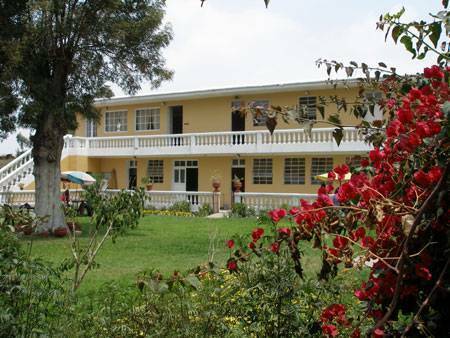 Comfortable beds, private bathroom, hot water, TV Cable, Internet. Located mostly at the entrance area of the hotel. Great option for price. Single, Double and Twins avalilable. Superior Rooms. Bigger rooms, all of them located surrounding the garden and mostly in the first floor. A little more comfortable. Private bathroom, hot water, TV Cable, Internet, room service. Double, Twin, Multibeds and Familiar available. Coffee for courtesy, Continental breakfast included and extras available. 10% discounts if you take Spanish classes. 2% discount on Cash payment. 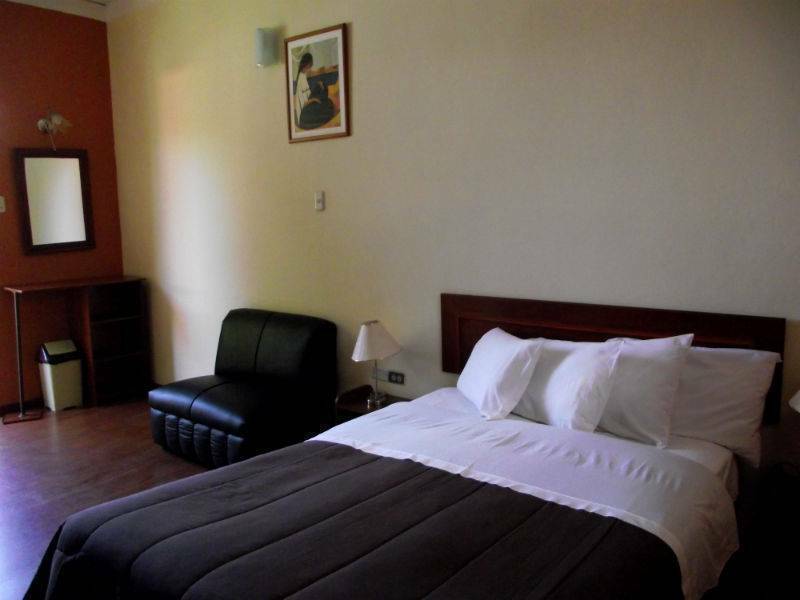 Casadeavila is located in Vallecito, a residential and quiet area four blocks, walk distance from Main Square. 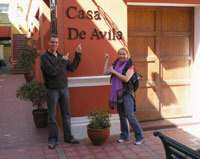 Our address is Av San Martin 116. A taxi from the Airport will take 15 minutes. And from any bus terminal will take 5 minutes. Pickup service from the airport on request. Sorry, not from bus station.